Please note that the content of this book primarily consists of articles available from Wikipedia or other free sources online. Jessica McNamee is an Australian actress. 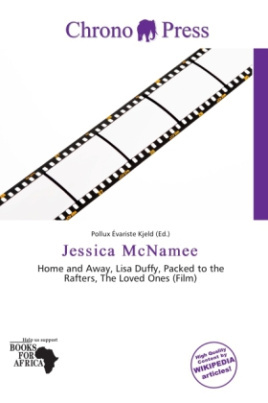 McNamee is best known for her leading role of Sammy Rafter in the award winning and top rating television series Packed to the Rafters. Before this she also appeared in the television soap opera Home and Away as Lisa Duffy playing the love interest of real life good friend Rhys Wakefield's character, Lucas. McNamee stars in the Prom horror comedy film The Loved Ones for which won the peoples choice award at the Toronto International Film Festival in 2009. In mid 2010 she went on to film the short film 50-50 which is based on the gang wars in Sydney, Australia during the 1920's and 1930's.